Discussion in 'Current Events' started by US Conservative, Feb 11, 2019. California and those lefty environmental groups can go pound sand. 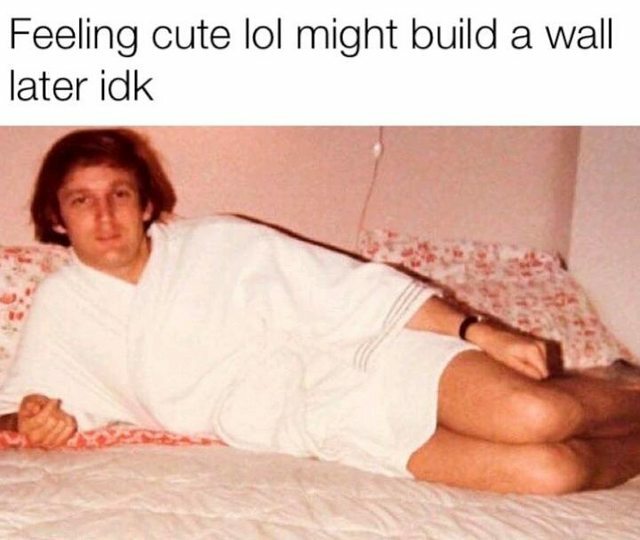 The wall is coming, and soon. Dems won't be able to stop it. ArchStanton, Blaster3, Sahba* and 2 others like this. 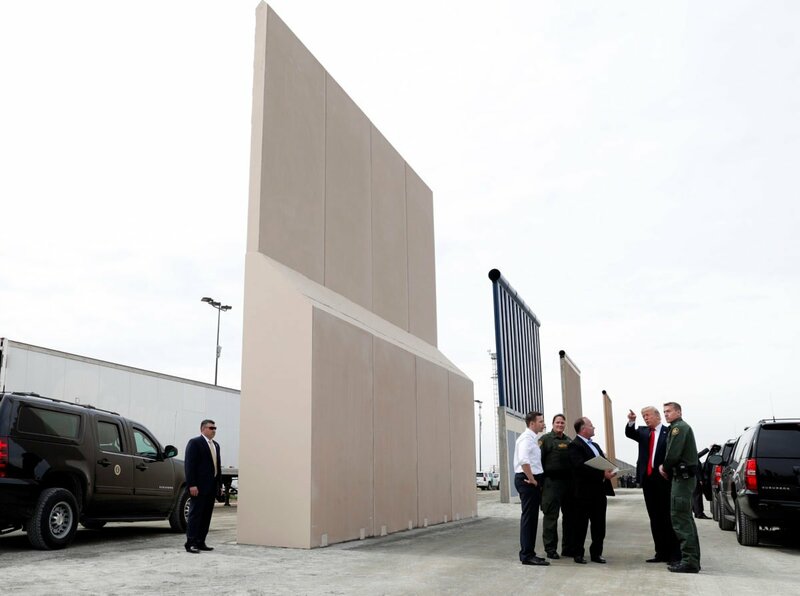 Oh yay, the wall prototypes that failed basic breach tests. I am so glad we are pushing for billions of taxpayer funds to be spent on something that can be taken out with a dollar saw from Home Depot. Cubed and superbadbrutha like this. Libby and Dutch like this. Clearly the environment must take a back seat to border security within reason. If they're making a border consisting of a 20m moat of liquid mercury then that's one thing, but a concrete/steel barrier? Clearly proportional. cd8ed, Bondo, Dutch and 1 other person like this. We shouldn't need to praise justices for doing their job. Somedays, you sound like a downright reasonable aussie. Aussies were lions in ww1, ww2, and vietnam. Prove me wrong. Dutch and Steady Pie like this. This was one of those moments for the 9th. Bondo and US Conservative like this. No intention of proving you wrong, like many Western nations we have a proud history but bleak future. Actually, the big macs at the college teams visit didn't go a mile high. If existing border fencing aka (the wall) needs repair and maintenance, how can a case be made for the additional border fencing aka (the wal) be useless? Hm? China has Mongols on the other side. Sort of like Asiatic Mexicans. Pope Francis, tear down YOUR Wall! Vatican City is surrounded by a wall. This here folks is another example of how fake news infects the low IQ portion of the electorate. You leftists are complete tools and believe ANYTHING. Good lord. Petty insults aside, what did I post that was inaccurate? On “Pogo Row”, a testing area near the California-Mexico border, Customs and Border Protection (CBP) agents were instructed to try to breach the eight border wall segments—and eventually broke through all eight. Using saws and other hand tools, teams were able to cause holes “larger than 12-inches in diameter or square,” the DHS standard definition of breaching. Most of these people do not wander over on their own, it is done by cartels or smugglers bringing groups over. You should beat your head into the wall harder — might knock some common sense in. Most? Not all? Good, let’s start with stopping these who will buy a saw and have at it on their own. Yes, let’s build a multi billion dollar partial wall that will be easily walked around or sawed through to stop an extremely small portion that walk hundreds of miles but don’t come prepared for the last step. Like I said, tis be a good start. I’m not a Democrat and I am more fiscally responsible than 90% of the “conservatives” here. Regardless of who is in office.